An Upper triangle Matrix in C is a square matrix where elements below the main diagonal are zeros. 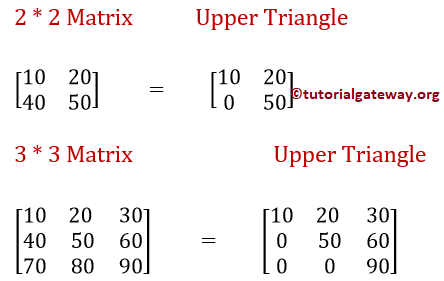 In this article, we will show you, How to write a C Program to find Upper Triangle Matrix with example. 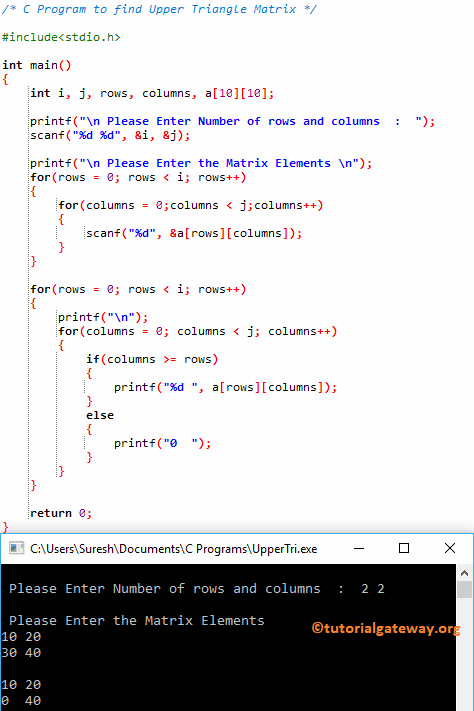 This C program to find Upper Triangle Matrix allows the user to enter the number of rows and columns of a Matrix. Next, we are going to find the upper triangle matrix in C using For Loop. In this C Program to find Upper Triangle Matrix, We declared single Two dimensional arrays Multiplication of size of 10 * 10.